The first two days of U18 Nationals have been phenomenal!! We flew into Edmonton Sunday evening and settled into our home for the next 7 days at the Clarion Hotel in Sherwood Park, AB. Our jackets arrived in the nick of time for our pre-event practice at 2pm at the Glen Allen Rec Complex. It was great to finally get on the ice and prepared for our first game Tuesday afternoon. Immediately after our practice, we headed over to the Millennium Place for opening ceremonies. What an experience to be introduced as Team Sask!! We were piped in by the Alberta Society of Pipers and Drummers and concluded the ceremonies by throwing a blow up rock into the air. Later, we had pictures taken and were able to meet some curling greats of Alberta. We finished our evening by getting to know other players at supper and ice breaker hosted by Curl Canada. Our first game in our pool was against PEI today at 2:00pm. We fell short losing the game to a measure of our last rock. 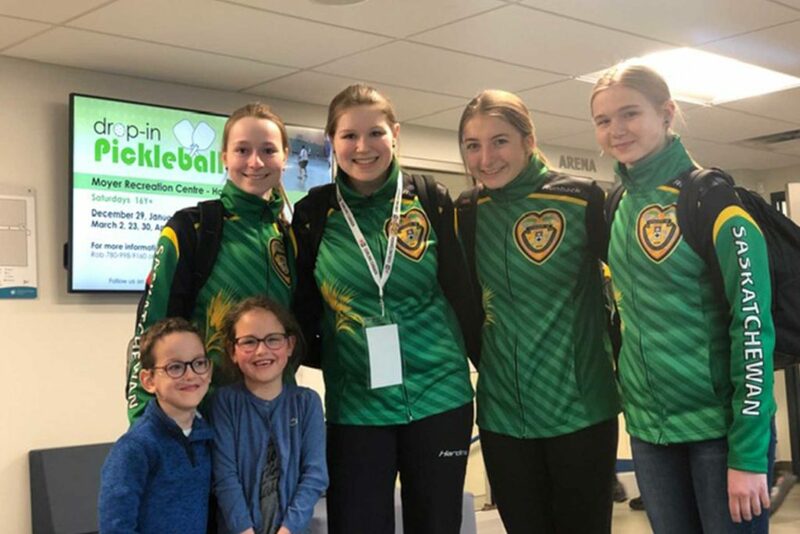 It was refreshing to cheer on our Team Sask boys in their win against Newfoundland and Labrador. Thank you to all the fans that came to cheer us on, especially our two little fans who brought posters. 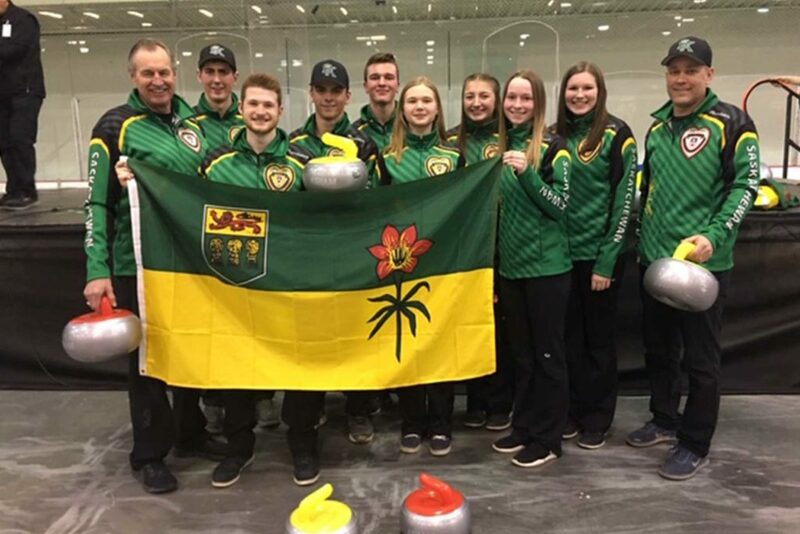 We will be featured game tomorrow morning at 10:00am against Northern Ontario on Curling Canada’s livestream!